You have probably been avoiding an eye check-up because you don’t see the need for it. Or maybe it has been inconvenient to go for one. But as you get different eye complications, it becomes obvious that the test is inevitable. Some opticians may give ointments, perform surgeries or even recommend that you get a pair of glasses to treat a condition. 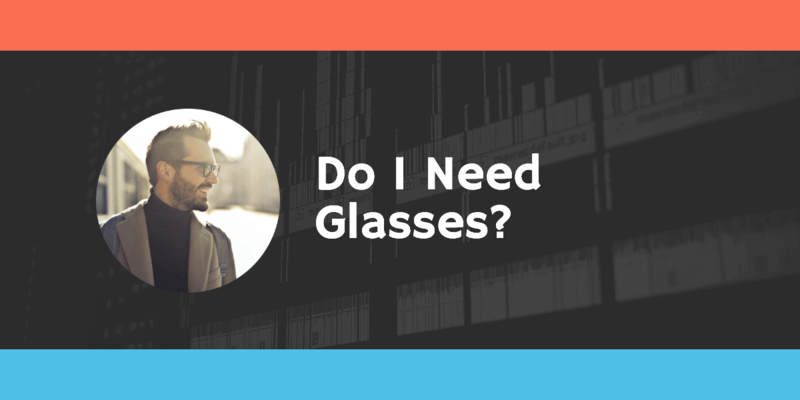 The question is ‘how can you know if you need glasses or not?’ Well, continue reading to find out. Blurry vision is often related to astigmatism and short or long sightedness. This experience makes things seem out of focus. It may also be a sign of fatigue or straining of the eye. In such cases, resting is a quick remedy. However, when your vision fails to improve, go for a test to find out if you need a pair of glasses or not. If you notice that you bump into things at night, then it might be time to get your spectacles. 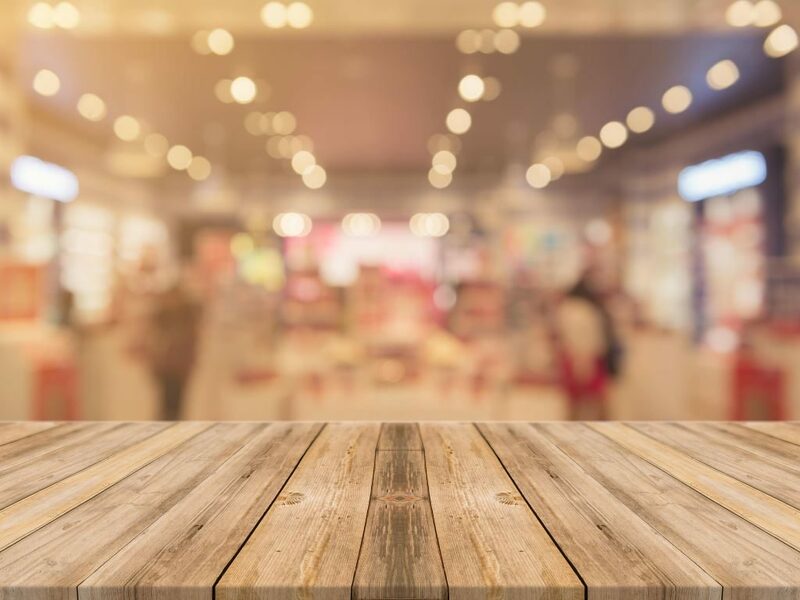 Initially, it may only be a complaint of your limited vision when you walk into poorly lit areas. Gradually, this seemingly small issue becomes a big one. Some people are even limited to only driving during the day by it! 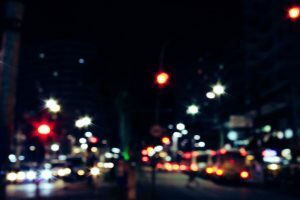 Several complications can cause night blindness. First, you may have cataracts, which is identified by a cloudy eye lens. Secondly, it is possible that you lack vitamin A. Also, Usher syndrome can cause a loss of vision and hearing. Furthermore, short-sightedness makes it difficult to see things that are far away. Lastly, night blindness is associated with the development of a dark pigment in the retina called retinis pigmintosa. Looking for best opticians in Essex? Eye fatigue is caused by several factors such as allergies and flu. However, if the fatigue persists, you may need a pair of glasses. 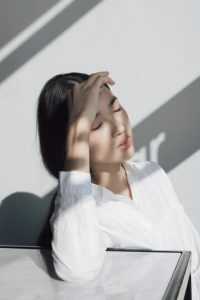 This kind of fatigue makes you feel tired when engaging in regular activities like watching television or reading books. This is one of the definite ways of determining if you need spectacles or not. It is also one of the questions when completing our “Do I Need Glasses Quiz” (see below). You may find yourself sitting closer to a computer to focus on the letters. It is important to note that squinting is normal when too much light is entering the eyes. However, if you find yourself squinting regularly, then it is time to get a pair of glasses. Are you spending a lot of hours in front of a computer screen or other digital devices? Are you taking a lot of time trying to focus? When you are holding books and other reading materials up close, do the words look blurry. Do you have to keep holding them farther away to read? Do you have issues reading smaller print in dim lighting? Is it taking longer to read than it used to? Do you get a headache when you read? Headaches are initial signs that direct you to get more information on whether you will need glasses or not. But it is also a sign that you are probably farsighted or you have astigmatism. Straining to focus on objects is usually the cause of frequent headaches. An inflammation caused by straining the eye is likely to be painful and may affect the optic nerve. This explains why the headache occurs after spending a long time trying to focus. These headaches will limit your productivity level, and so, you should go for an eye test. If no one at home sits closer to the television than you, then you should know that something is wrong. Sitting close to the tv only shows that you are trying to compensate your inability to see far objects. You may have noticed that children rub their eyes when they want to sleep. Some people even joke that it is one of the quickest ways to know if you need glasses. Nevertheless, rubbing your eyes too often may be a serious issue. It may be caused by allergies or eye infections. Visit the optician to determine the cause of the problem and also find out if you need glasses. If it takes longer for you to adjust to the light when turned on, then you may need spectacles. Old age and other issues could weaken the muscles of the iris that control its contraction and expansion. This is a severe problem that should not be overlooked. Once you start having double visions, the next time that should be on your mind is how to check if you need glasses. Some of the causes of this condition are cataracts, dryness, infections, keratoconus, and scars on the cornea. Some serious illness like diabetes, stroke, migraines and brain tumour may also cause double vision. Seeing halos happens when your eyes cannot adequately focus on objects. This limitation leads to scattered rays of light. You will then notice a circle or halos around bulb and headlights. Seeing halos and circles may be as a result of illnesses like astigmatism, farsightedness, and nearsightedness. It may also be a side effect of LASIK surgery. Going to the optician is a sure way how you will be able to tell if you need glasses. You will hardly hear someone use their finger to point to words when reading saying ‘I have a perfect vision, but I need glasses.’ But most people that make such statements know that they have sight problems and need eyeglasses. They usually point in different directions and need to use their fingers to avoid losing lines when reading. However, someone with a lazy eye will also experience this challenge. When you have to cover one eye to see objects, then it is time to get an eye test. This issue may get complicated and may cause complete loss of sight in extreme cases. The illnesses that cause people to cover one eye to see include astigmatism, cataract among many others. People usually debate on how to get a pair of glasses when it is not needed. This is a naughty thing to do. However, wearing a pair of glasses is important for some families. This is because some eye conditions are hereditary. If you observe that your parents and siblings are wearing glasses, you should find out if you to get a pair as well. When windows start to look like they are underwater, then it is about time to get a pair of glasses. Wavy vision makes straight lines look distorted, and colours seem to be faded. This is an indication that the macular has degenerated or the central position of the retina has been deteriorated. Pressure on the eye is one of the symptoms of glaucoma- a deadly eye disease. When this pressure is unchecked, it may damage the optic nerve and cause vision issues. An unqualified optician will most likely not identify the actual cause of the eye complication or prescribe the ideal glasses that you should use. They will rush through the process and ask you unrelated questions like your medical history and symptoms you face. These unqualified medical practitioners will be more concerned about the accuracy of the test rather than the result obtained. You will be disappointed when you get services from an illegal optician. Most of them use short cuts to make high profits at a low operating cost. Always request that the optician provide you with documents that show that they are licensed and certified to offer their services. How to go about getting a pair of glasses is a process that most people do not understand. A lot of costs may be incurred, and that is why it is important to be issued a warranty on the glasses to be purchased. A warranty confirms that the optician is willing to make necessary modifications to the glasses to meet your needs. Your optician must be friendly to talk to about your fear, progress or challenges. They should also help you identify designs of glasses that suit your facial features and personal taste. We hope that answers many of your questions on ‘how to tell if you need glasses’. In a nutshell, you must never ignore obvious symptoms like blurry vision, headaches, eye pressure, double vision, halo visions among many other things. These symptoms all point to the fact that your vision may need correction. Finding qualified, friendly and legitimate opticians assure you of getting quality services. You will find these qualities in Belson Opticians. The family-run practice has one practice in London and four in Essex with over 60 years of experience.